The leadership of the Redeemed Christian Church of God, (RCCG) Nigeria, in its usual philanthropic gesture recently endowed a N50 million professorial Chair in Mathematics in favour of University of Lagos (UNILAG). This enviable step (Professorial Chair) is in honour of Pastor Enoch Adejare Adeboye, an alumnus of UNILAG. 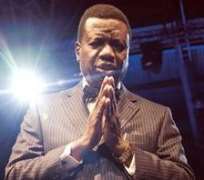 Pastor Adeboye, was formerly a lecturer in the Universities of Lagos and Ilorin, who earned a Doctoral Degree in Mathematics from the University of Lagos many years back, before he got a pastoral call. The N50million Cheque for the endowment was presented during the Thanksgiving Service of Excel 2009, RCCG, Apapa Family. The cheque was received by a four man delegation led by the Director, Academic Planning, Professor Cecilia Igwilo. Other members of the delegation are the Dean, Faculty of Science, Professor Wole Familoni; Head, Department of Mathematics, Professor Jerry Adepoju and Director, Advancement and Endowment Office, Mrs. Bamidele Awere. Apart from this, RCCG often extends similar meritorious gesture to intelligent but indigent students, orphans, widows and widowers who seemingly are helpless and are no longer active, the needy generally irrespective of their background or who they are. Indeed the philosophy of the church really bears human face. However, the journey of UNILAG can be traced to1962, and is made up of two campuses, the main campus at Akoka, Yaba and the College of Medicine in Idi-Araba, Surulere. Both sites are in the Mainland of Lagos. The main campus is largely surrounded by the scenic view of the Lagos lagoon and is located on 802 acres of land in Akoka, North Eastern part of Yaba, Lagos, Nigeria. It currently has staff strength of 3,365 made up of 1,386 Administrative and Technical Staff, 1,164 Junior and 813 Academic Staff. The University is comprised of nine Faculties and a College of Medicine. The Faculties offer a total of 117 programmes in Arts, Social Sciences, Environmental Sciences, Pharmacy, Law, Engineering, Sciences, Business Administration and Education. UNILAG, as the university is fondly called also offers Master's and Doctorate degrees in most of the aforementioned programmes. The University also has two Centres namely the Centre for Human Rights and the Centre for African, Regional Integration and Borderland Studies. The Distance Learning Institute (DLI) of the University offers courses in Accounting, Business Administration, Science Education and Library / Information Sciences. UNILAG is one of the leading Universities accredited and certified by National Universities Commission in Nigeria, the higher institution which is known for excellence and credibility in all facets of academic pursuits, Professor Ralph Akinfeleye the head of department of Mass Communication fondly paints the University as first in Africa and second to non in the world, an 'assertion' that all alumni and alumnae of that great citadel of learning always concur to. It is however worthy to commend the esteemed leadership of UNILAG under the supervision of the amiable Vice Chancellor, Professor Tolu Olukayode Odugbemi, FAS, NNOM, PNMC, OON for his efforts in making the institution to remain at the pinnacle of greatness in the academic milieu. Emmanuel Ajibulu is a representative of modernghana.com in Nigeria with the mandate to cover newsworthy events in Politics, Entertainments etc.